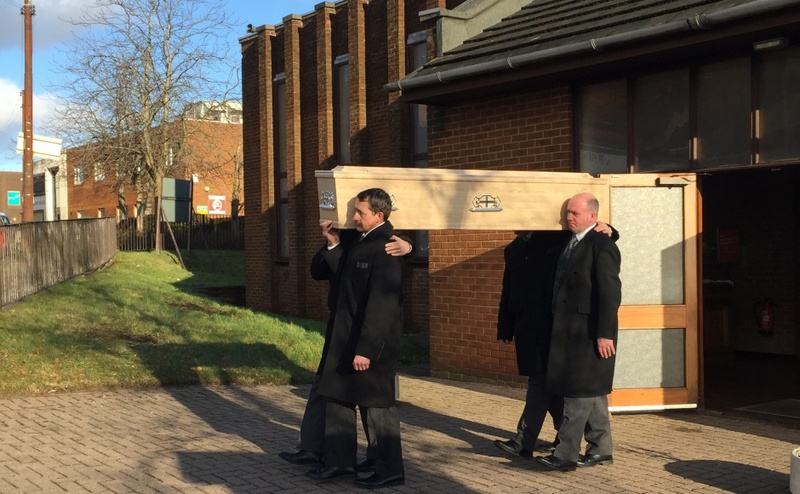 Strangers have attended a funeral for an asylum seeker whose death has left her 10-year-old son an orphan and facing an uncertain future. The Church of Scotland and the Catholic Church in Glasgow arranged a Georgian Orthodox Church style-service to enable the boy and his family to grieve and say goodbye. Around 40 people, including local residents, representatives from the local community council and a primary school, attended the service at Springburn Parish Church on Friday to pay their respects to “Ana”. The community in Springburn came together to pay their respects. The 35-year-old, who was born and raised in Georgia, a former Soviet republic on the border of Europe and Asia, died after a long illness at the age of 35. Springburn Parish Church minister, Rev Brian Casey, said it was “heart-warming” and a true measure of local community spirit that so many people turned out to express love, faith and prayers for her son. He described him as “the centre” of his mother’s life. Mr Casey said: “Ana’s death is tragic and very sad but we were so glad to be able to give that Glasgow welcome to her family. “Irrespective of people’s faith or creed, we are here to serve them in the way Christ served people of the Jewish faith or no faith,” he added. 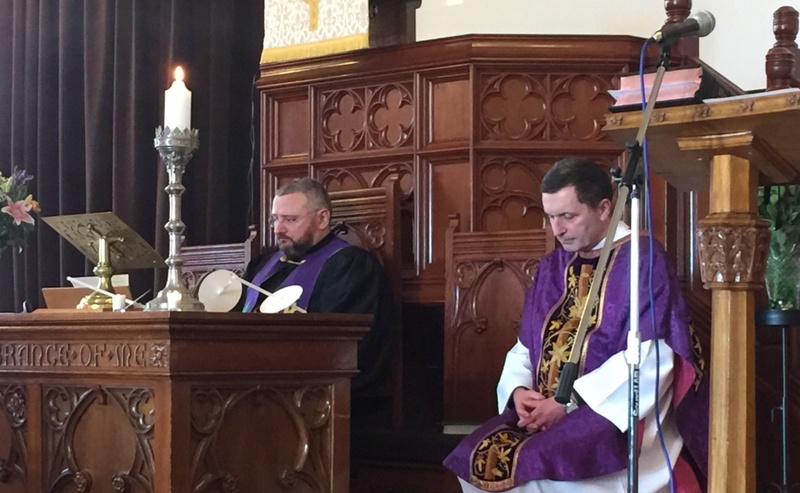 The service, co-led by Father John McGrath, parish priest of St Aloysius Church in Springburn, included Georgian Orthodox Church traditions such as the recital of the Lord’s Prayer in Aramaic, the language of Jesus Christ. Incense was burned in a Thurible, a metal censer suspended from chains, with the smoke wafted over the closed casket. The aromatic material is understood by the Orthodox Church as symbolising the sanctifying grace of the Holy Spirit and the prayers of the Saints rising to heaven. Mr Casey spoke movingly about Ana’s life and family and Father McGrath recited Ecclesiastes 3, the third chapter of the Book of Ecclesiastes in the Bible, which talks about “a time for everything”. Mourners, who also included members of the Georgian community in Glasgow, held lit candles. And one of Ana’s favourite songs, Shape of You by Ed Sheeran, was played against a backdrop of a poignant set of photographs of the translator, who was fluent in four languages. Mr Casey was asked to organise the funeral by the headmaster of Ana’s son’s school. “It was heartwarming to see so many local people attend to show support for a grieving family,” he said. “Despite its problems, Springburn has a very strong community and we can still come together and support people in times of need. “I am a chaplain at Ana’s son’s school and was asked if I could help give him some kind of closure because his mother’s body is being sent back to Georgia to be buried and he wouldn’t have been able to attend the funeral. Mr Casey said it was one of the “hardest” funerals he has ever conducted because people of the Orthodox faith are much more outgoing in the way they grieve. “We did our best to honour the Orthodox Church’s traditions which is somewhere between the Church of Scotland and Catholic Church liturgically,” he added. Ana died at her home in Springburn. The future of her son, who has lived in Glasgow since he was three-years-old, is uncertain as his mother was awaiting the outcome of an appeal for asylum. Mr Casey and Father McGrath have set up an appeal to raise money to support the youngster and have raised £700 so far. Father McGrath said he was so moved by Ana’s story that he did not hesitate to try and help. “It was a great honour to be invited to help the family because some of the symbols we use in the Catholic faith resonate more with them,” he added. “In circumstances when people feel marginalised, when there is a limitation of language, it is important to make people feel they are part of a wider Christian family. “As my personal friendship with Brian grows, we are working more and more together and encourage people to take part in events in both churches. 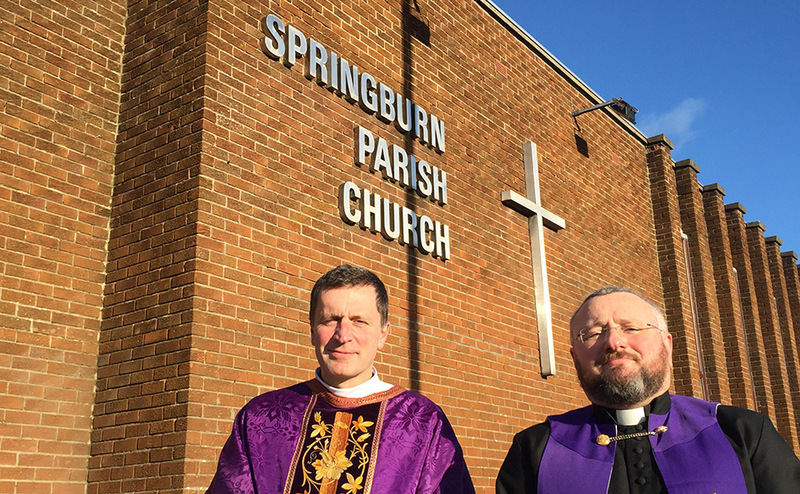 Rev Brian Casey and Father John McGrath jointly led the funeral at Springburn Parish Church. Church of Scotland congregations the length and breadth of the country are actively working to support asylum seekers and refugees. David Bradwell, co-ordinator of Scottish Faiths Action for Refugees, said: “Marking a death – and remembering a life – with dignity and respect are things which we would all hope for ourselves and our loved ones. “It is sad to think of young people dying, especially when they are alone or away from family support nearby. “The role of the Church to offer compassion and understanding is so important. The Church of Scotland continues to speak out against the scandal of funeral poverty and is campaigning for an end to the postcode lottery of burial and cremation charges and the introduction of state assistance for those particularly in need.